Ever since moving into our apartment, I’m obsessed with creating custom furniture for our small space. 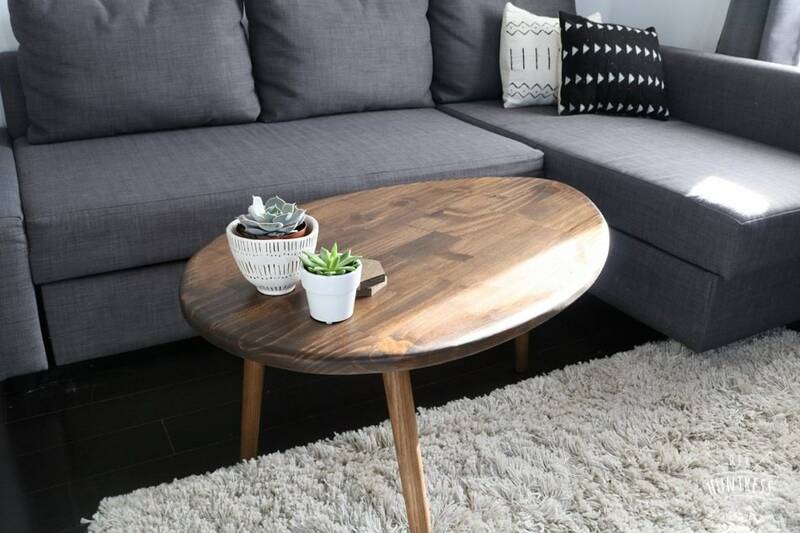 As of recently, I’ve been craving a retro coffee table… and now my prayers have been answered. 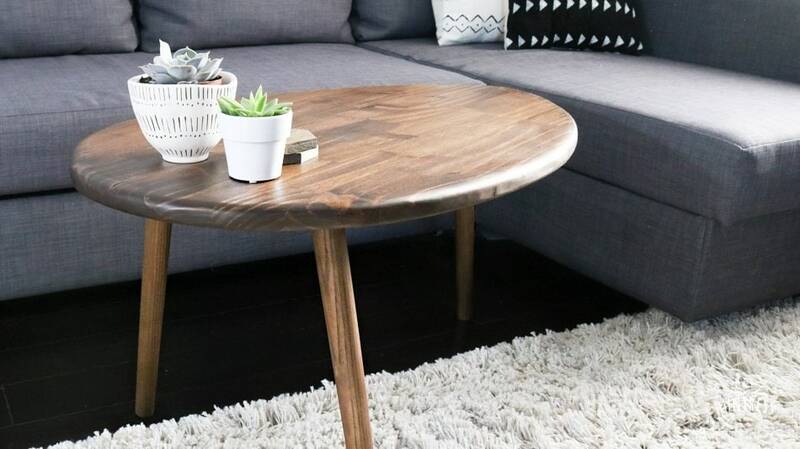 I partnered with my friends at HANDy Paint Products to create a one-of-a-kind retro table for our minimalistic space. Want to learn how to make your own? Well, it’s your lucky day! 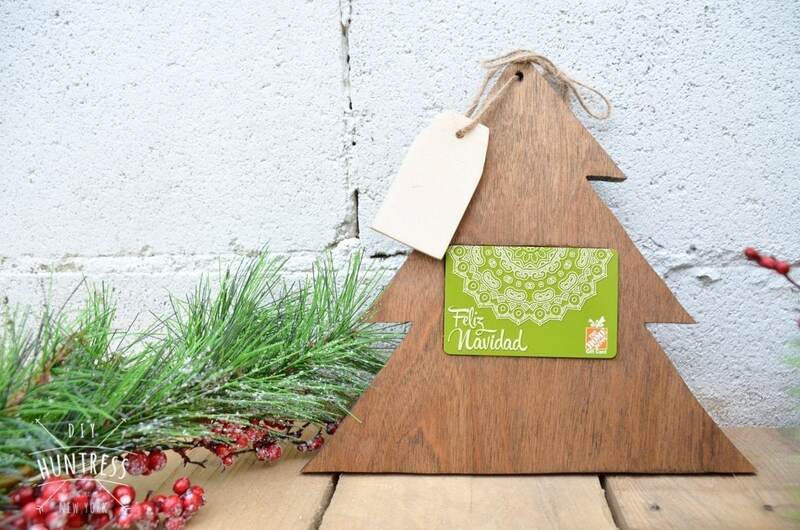 I have the free plans and template for this project right here in this post! Since rumor has it that my shop may be relocating soon, I’ve been on a mission to use any of the leftover pieces of wood that have been hanging around my workshop for cool projects. This project was built with a large piece of laminated pine that has been collecting sawdust, which made it even more rewarding for me. 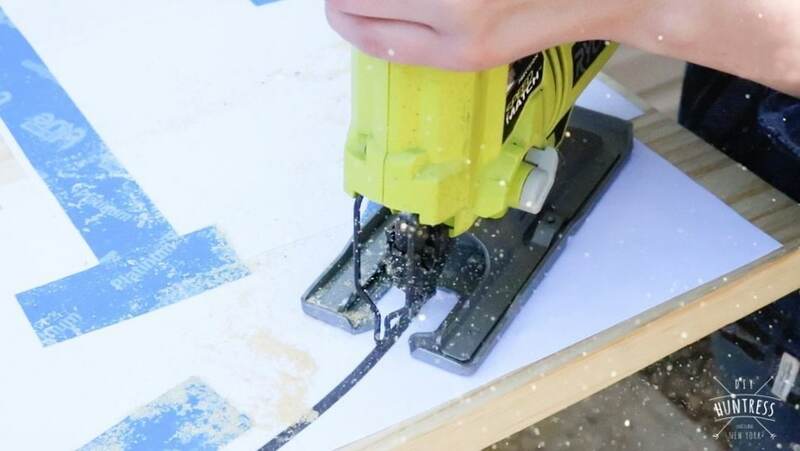 Don’t have large scrap boards hanging around for your own version? That’s okay. I’ll walk you through the materials, tools, and steps you need to take to create your own beautiful table! 1. First, print and cut out my DIY Retro Coffee Table Template. You will have to print it in multiple sections and tape those sections together later. I was able to print mine in multiple sections using Photoshop. 2. 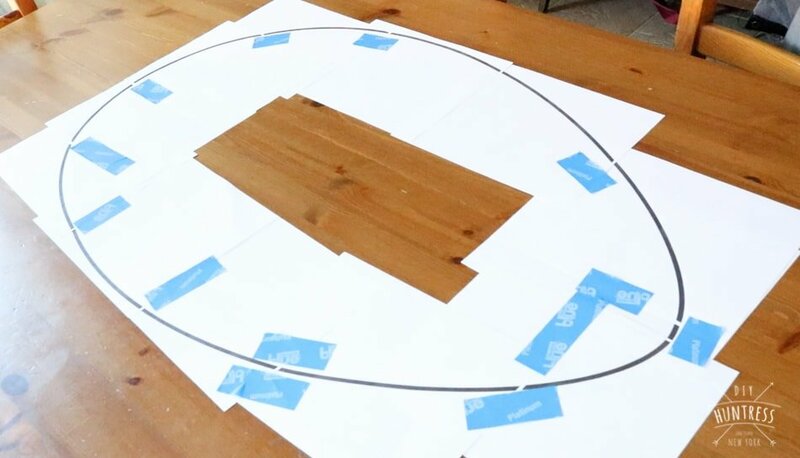 Next, attach the pieces of the template together using tape. 3. 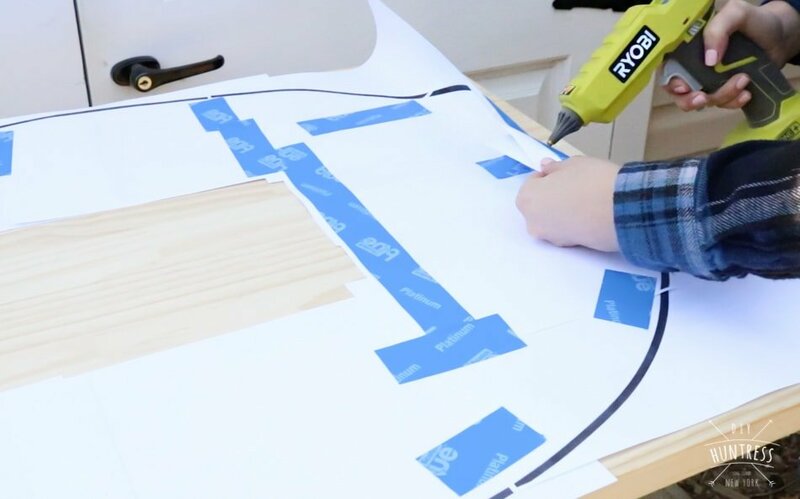 Attach the template to the 2 x 4′ laminated pine board using a hot glue gun. This will help keep it in place while you cut out the template. 4. 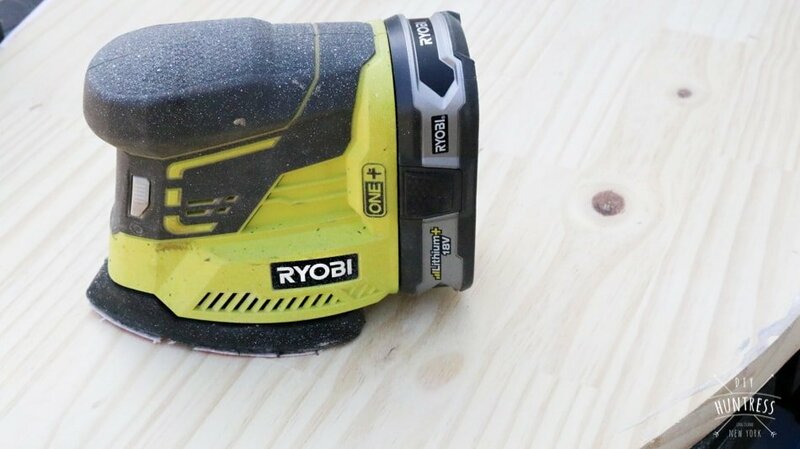 Use your jig saw with a clean cutting blade to cut out the design. 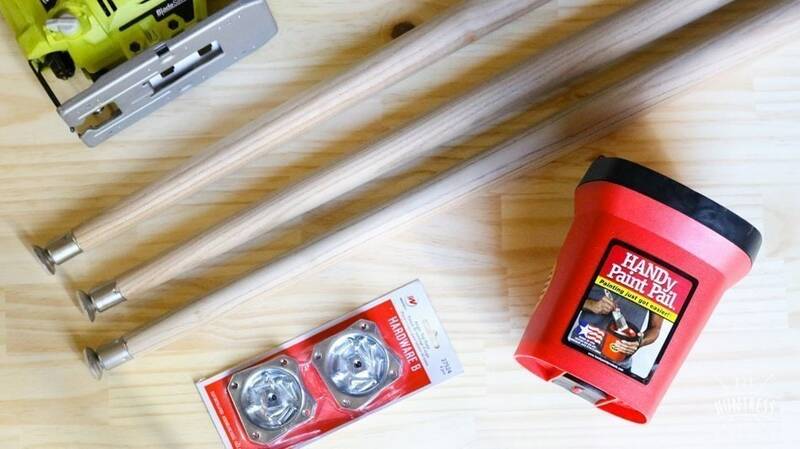 Make sure you clamp the board to your workspace for sturdier and safer cutting. 5. 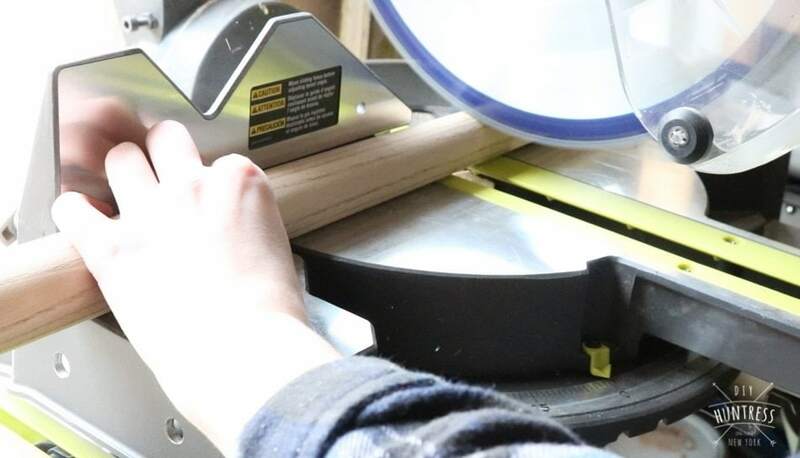 Once your piece is cut, use a router to round over the edges of your table. 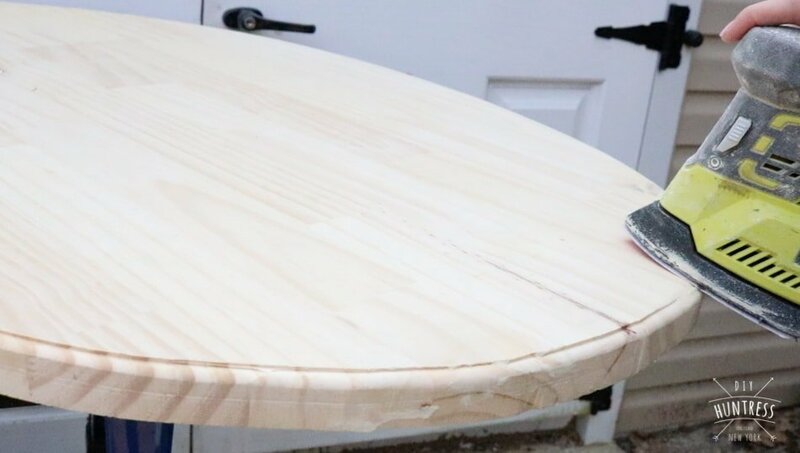 I chose to create a deep groove along the outside of the table and then sand the table top down for a dramatic, round edge. If you have a deep round over bit, you can use that instead. 6. Next, sand down the entire table top to prep for finish. I started at 80 grit and worked my way to 220 grit. 7. Next, cut your tapered legs to size. 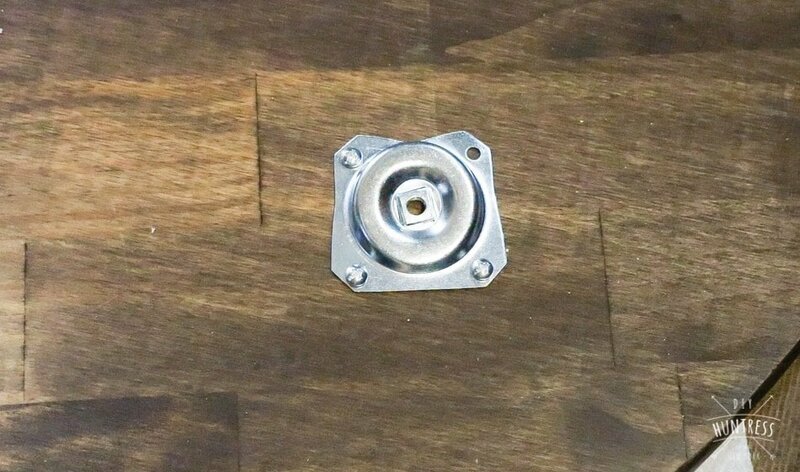 My local hardware store only had 20″ legs, so I decided to forgo the metal footer on the leg and cut them down to 16″ with my miter saw. 8. Now it’s time for stain! 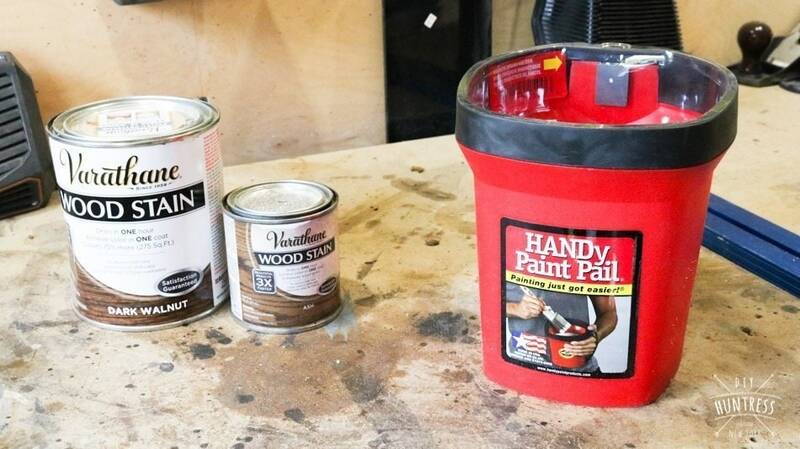 I didn’t love any of the colors I had in my shop at the time, so I chose to mix a custom smokey brown color using two different stains (Dark Walnut and Ash) and my HANDy Paint Pail and disposable liner (for easy clean up). 9. 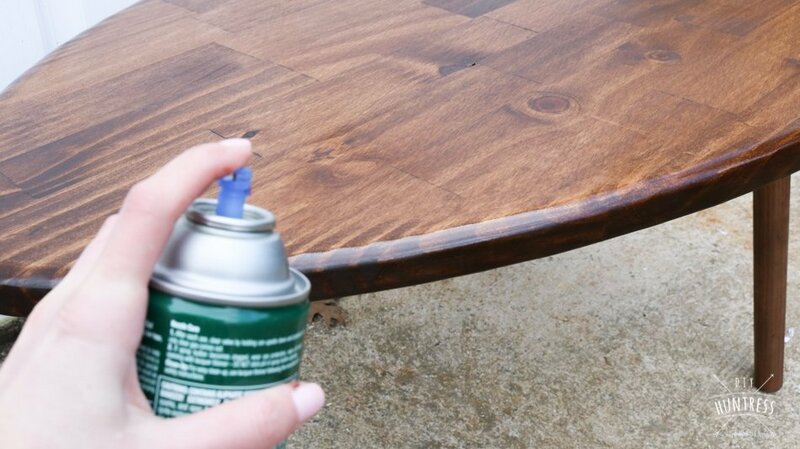 Once you’re happy with the color you’ve created, use a brush to add stain to the table and the legs – use a cloth to wipe the excess stain away. 10. 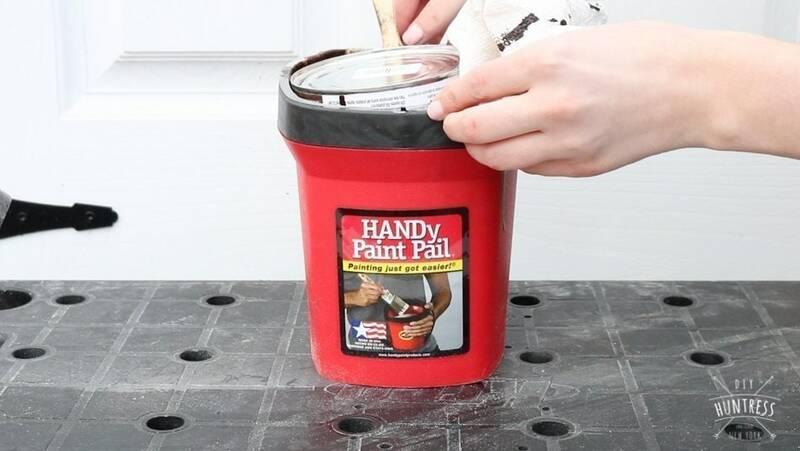 Allow time for the piece to dry and dispose of your mess (which, is an easy task when you’re using the HANDy Paint Pail Liners)! 11. 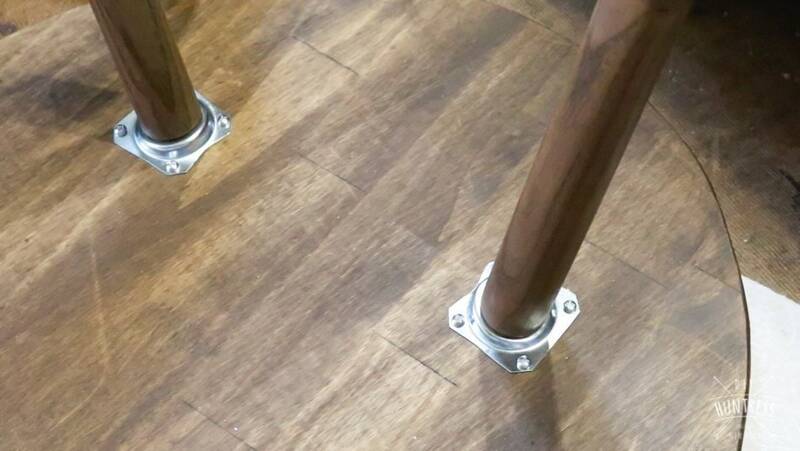 Once the stain has dried, attach the leg plates to your table. Use your measuring tape to find the desired leg placement. I placed mine 5″ away from all sides. 12. 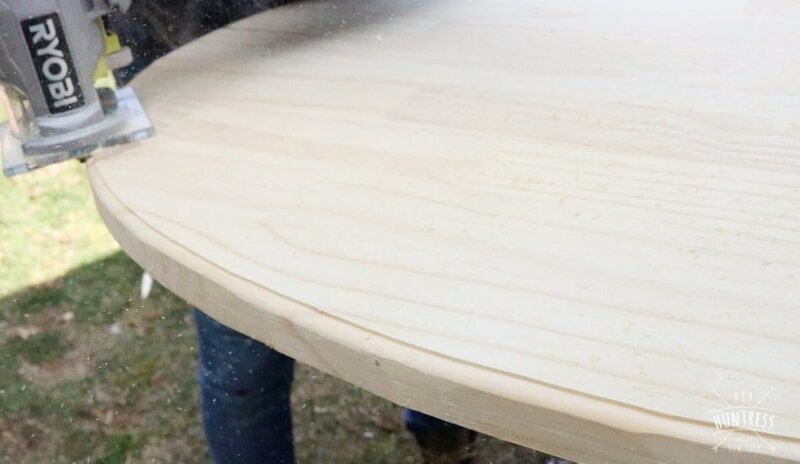 Flip your table over and add polyurethane to seal the deal. I chose a spray finish. 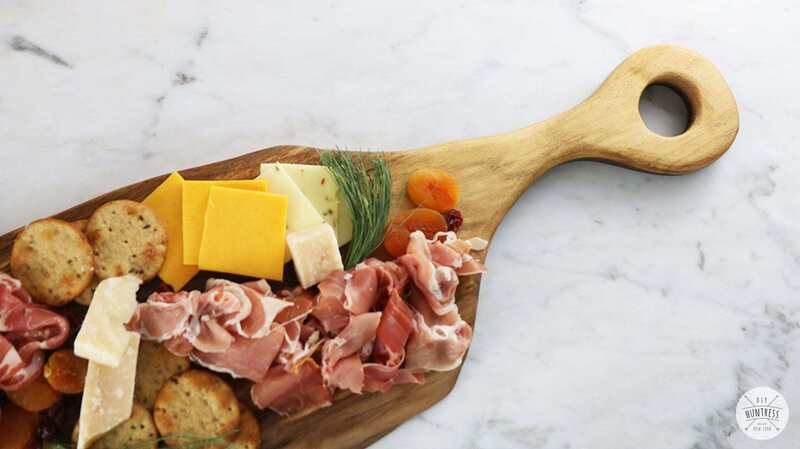 Now, place that table in your living space and admire your handy work! 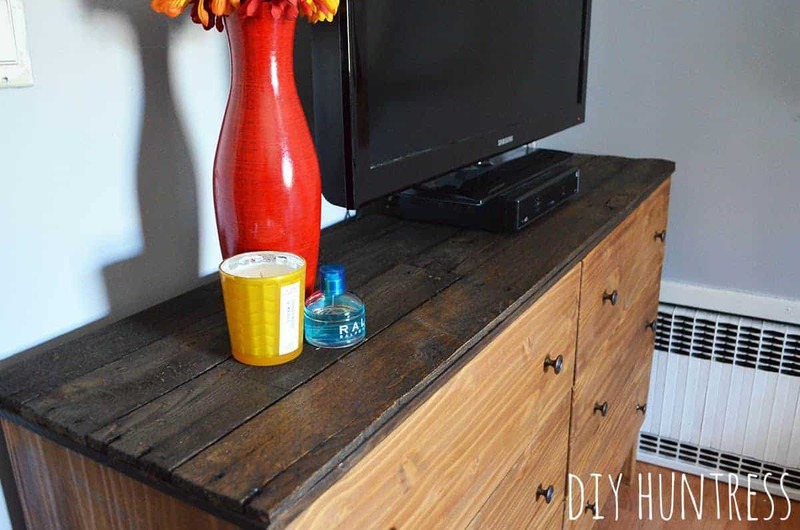 What I love most about this project is how a simplistic piece of furniture has changed the look of this space! The room feels bigger and so much cleaner! What do you think? 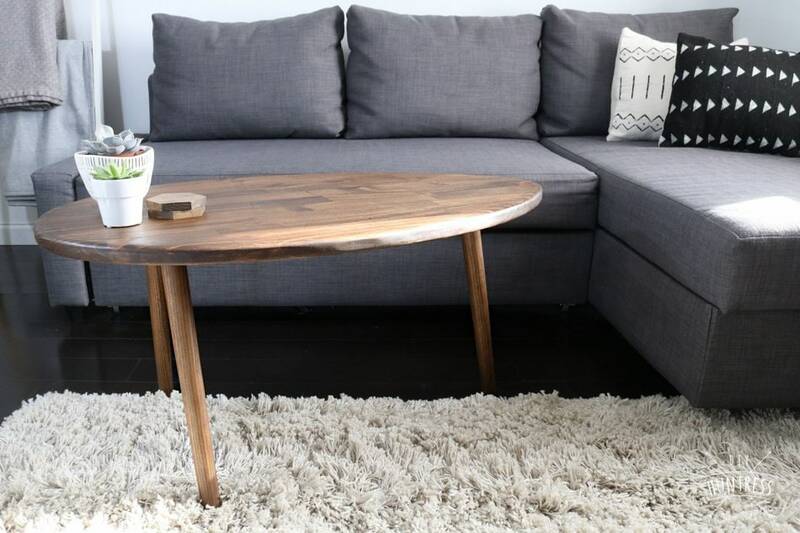 Would you build a retro looking table for your space? Thinking about saving this project for sometime in the future? Pin it! 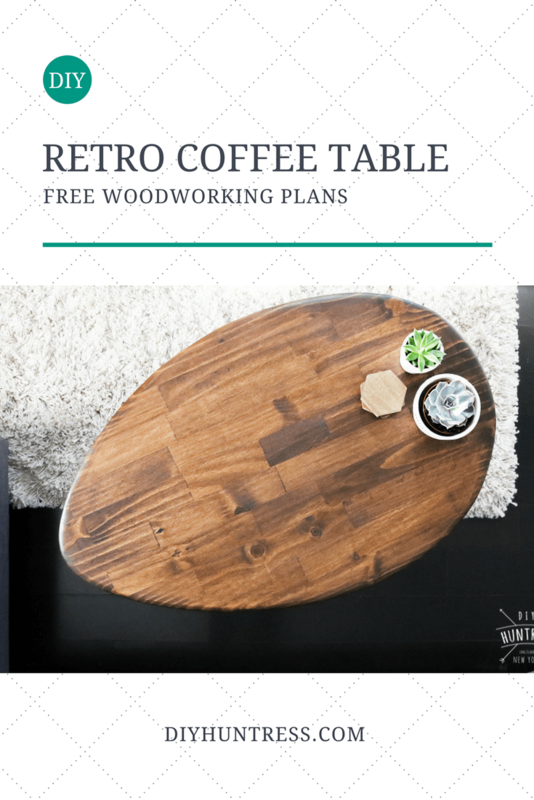 Hoping to see lots of retro coffee tables in your homes very soon! Until then, happy DIY’ing! 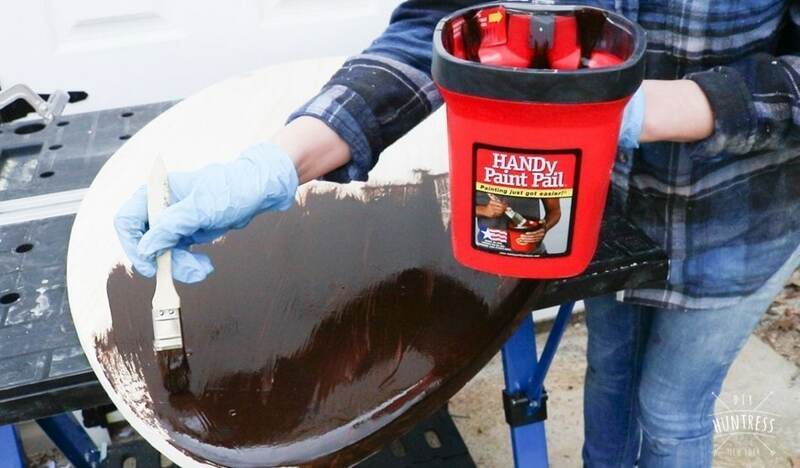 This post is sponsored by HANDy Paint Products. All design ideas are my own. For my full sponsorship disclosure policy, click here. I super love what you’ve created! 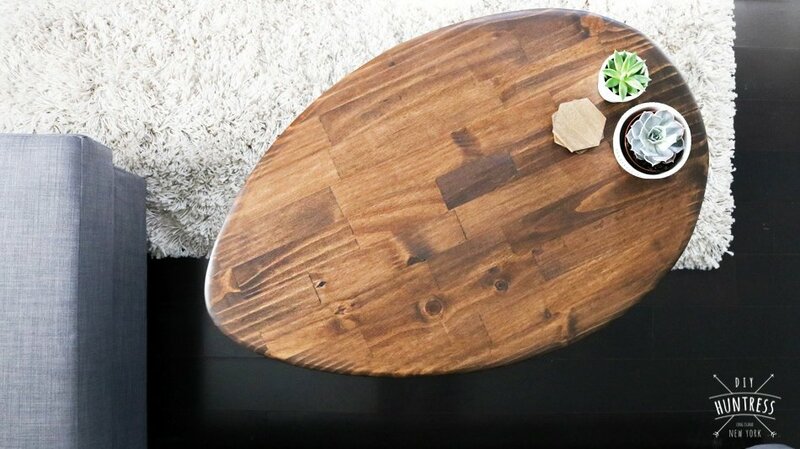 The unique shape of the table definitely add a unique vibe to your space. Lovely! Thank you so much! I’m so happy you love it!